Law and Practice of International Arbitration in the CIS Region offers the first comprehensive overview of commercial arbitration in the Commonwealth of Independent States (CIS) region. After the collapse of the Soviet Union over a dozen new states emerged with their individual systems of international commercial arbitration. Today, the former Soviet republics such as Russia, Ukraine, Kazakhstan, and others generate a significant and growing amount of work for the major Western and CIS regional, international arbitral institutions. This book, a country-by-country analysis of regulation and practice of international arbitration in ten CIS jurisdictions, examines notable developments in the use of arbitration mechanisms contained in bilateral and multilateral investment treaties affecting the region. of the Court of the Eurasian Economic Union. An informative introductory chapter discusses the historical and current trends affecting arbitration practice among the CIS countries, including the role of regional conventions relatively unknown in the West. As a comprehensive overview of international arbitration in this burgeoning region, this book has no peers. It provides not only a detailed analysis of the law but also insight from local practitioners into the culture of arbitration and how the law is applied. 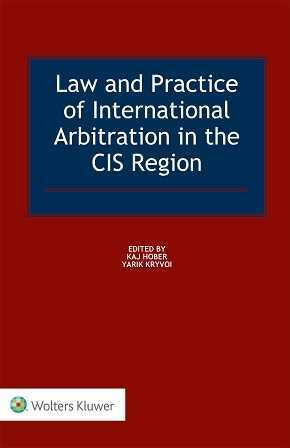 This book serves as a handbook for lawyers, arbitrators, and academics concerned with alternative dispute resolution, as well as for arbitration institutions, companies, states, and individuals, to understand the broad legal framework involved in arbitration in this CIS region.